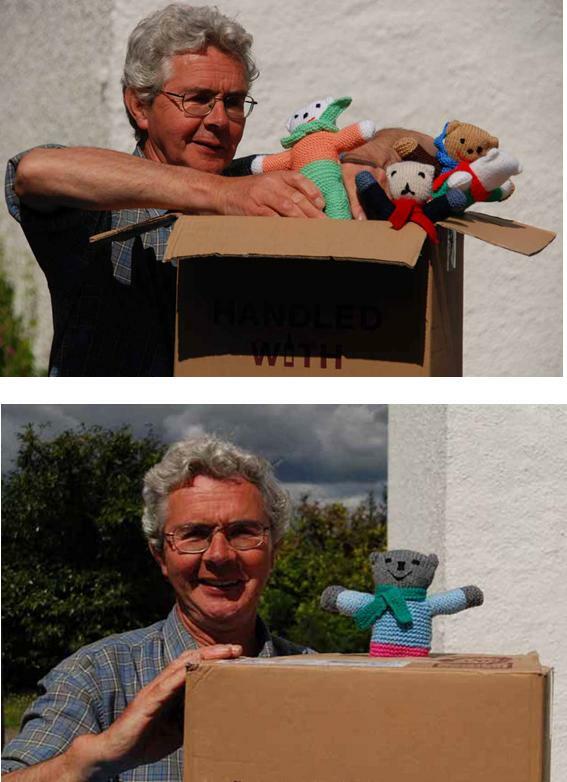 We are very grateful to the ladies who knitted these teddies which arrived at the store in Strachur recently. Iain MacPhillimy is seen here packing them into boxes ready for loading onto a container. The teddies are greatly prized in Malawi and bring comfort and joy to children who have so very little. On behalf of the children, thank you ladies.